New to essential oils and not sure where to start? Got a starter kit but afraid to even open it? Meet Sarah Harnisch: best-selling author, certified aromatherapist, mother of five, and passionate oiler. 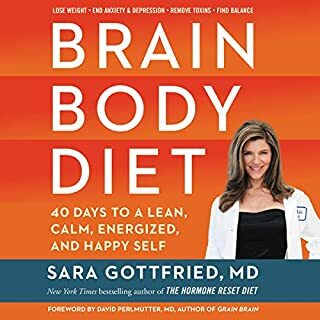 In this audiobook, you’ll hear her story of suffering from chronic migraines and learn the steps she took to build wellness and a toxin-free life for herself and her family. Sarah’s story will inspire you, and her simple, direct approach to essential oils will equip you to begin to make healthy changes in your lifestyle. All around the world, women are gaining weight, and they don't know why. Their energy is zapped. They have trouble falling asleep, and then have to drag themselves out of bed in the morning. They have cravings at all hours of the day and night. They might find their keys in the freezer and their glasses on the spice rack, and they often feel like they're just going crazy. These women aren't crazy, they're likely experiencing hormonal imbalance, and Dr. Mariza Snyder is here to help. 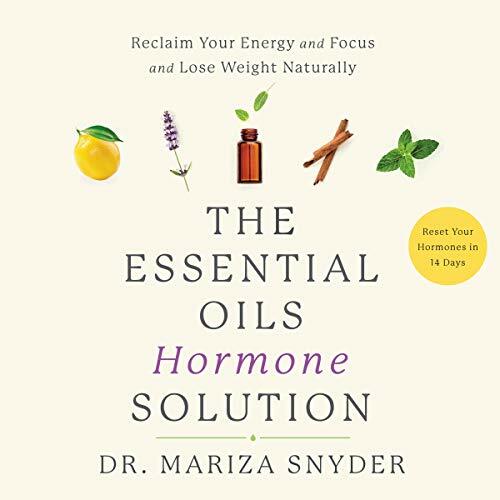 These amazing, life-affirming essential oils allow women to balance their hormones, fix cravings, get deep and restful sleep, improve moods and irritability, increase their energy and vitality, improve focus and concentration, boost libido, and more. My first language is Spanish that's the reason I prefer audio books in English and the information in this book is exactly what I was looking for in years I already listed it three times and I ordered two books one for me and the other as a gift. Thanks Mariza for this wonderful information. Mi primer lenguaje es Español esa es la razón por la que prefiero audio books que sólo están en inglés y la información es exactamente lo que yo estaba buscando en años. Ya lo escuche tres veces y ordene dos libros uno para mi y otro como un regalo. Gracias Mariza la información de este libro es maravillosa. I was excited about this book until I heard the words "high quality essential oils" about 1,000 times in the first chapter. 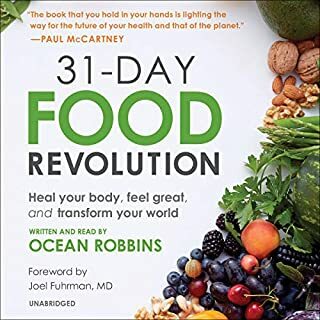 Suspicious about the goal of this book, I went to her website at drmariza.com and discovered "you can take control of your health with high quality essential oils" by becoming a member of doTERRA. A starter kit is only $200. Disappointed that she is using this book as a multi-level marketing tool. 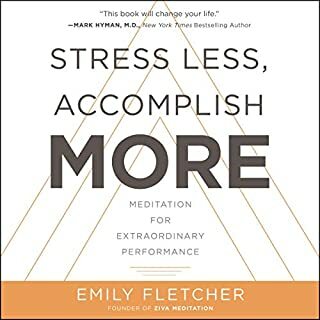 However, the book is really about self care, dietary changes, using essential oils to help trigger (used as a distraction) changes in your life and meditating. 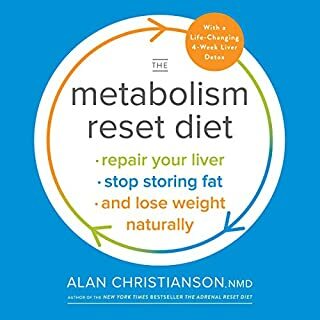 The recipes are low calorie which will cause you to lose weight if you can stick to it. The 14 day plan is a nice quick start to becoming more self aware and getting into a new habit of taking care of yourself. 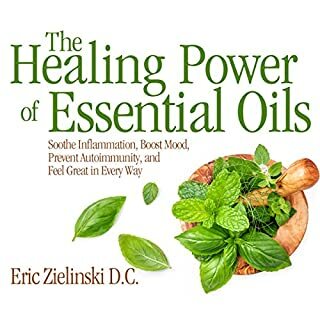 The reader has a pleasant voice and the information is useful but it bothers me that this is just a sales tool because she seemed so compassionate in the introduction discussing how essential oils changed her life. 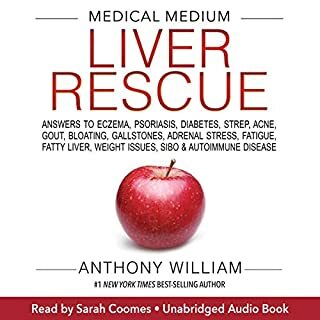 I am a researcher of natural remedies as Western medicine (with the exception of trauma care) has failed miserably. I applaud all doctors who pursue the "first do no harm" credo as they are a rare find. I have used a holistic approach for my own healthCARE as well as for my family & Dr. Snyder's recommendations are spot on! A must read for all women who seek true, safe, effective, natural self-care!